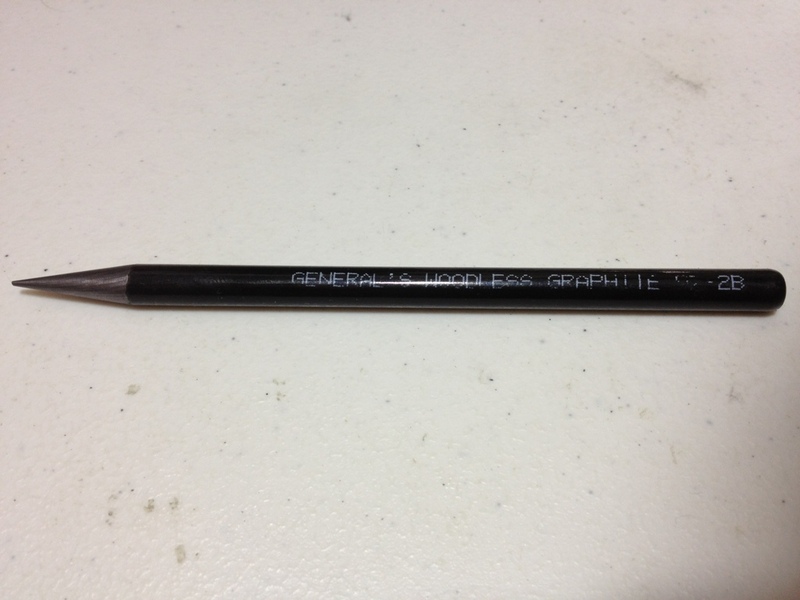 So, last week I reviewed the Cretacolor Monolith all-graphite pencil. This week I was going to review the General’s Woodless pencil, but I realized how similar they are, so I will simply be talking about the differences in the two. The General’s pencil had (I have an older one) an inferior set of markings on the side that wore off quickly and easily. If the newer versions have a similar ink I’d say this is a downside as you can’t see what you’re using. The outer coating is a darker color, which has no real effect except aesthetics. And the back end is a bit more flat. Is the quality the same? I can’t tell for sure, as they both seem the same, but if I must hazard a guess I’d say that the General’s pencil is a bit more fragile. But for all I know they could be made by the same company. This entry was posted in Advanced Supplies, Utensils and tagged comparison, cretacolor, generals, pencil, review, woodless graphite, woodless pencil by Dragon Co (Austin Smith). Bookmark the permalink.